Adversity As An Advantage (Get Over Your Excuses). Emotional tear-jerker leaving the audience with a deep found appreciation for all they have and excited to explore a world of possibilities when they crush their own limitations and get rid of whatever excuses are holding them back. Adversity as An Advantage inspires us to look inward, explore our excuses, and then forget they exist! Through this motivational presentation, Klyn reveals one of the darkest days in her life, when she was in the ER and learned her lung function was at a dangerously low 37%. Despite the realization that time was running out, she had to leave her corporate career behind to file for disability, and she lost everything. ​The audience will leave inspired to create their own vision for their life and confident that they overcome the excuses that are sure to manifest as they begin to unleash their potential. They will learn how to use adversity as an advantage, turn trials into triumphs, and setbacks into comebacks...after all...they are the CEO of their own lives. The audience will leave inspired to create their own vision for their life and confident that they overcome the excuses that are sure to manifest as they begin to unleash their potential. They will learn how to use adversity as an advantage, turn trials into triumphs, and setbacks into comebacks...after all...they are the CEO of their own lives. With nowhere to turn and in an increasingly dire situation, (unemployed, dangerously sick, single, no stable residence), Klyn started studying habits of successful people and implemented them in her own life. Through this empowering keynote, Klyn shares true stories of the habits she created that transformed her life from hospital bed to best selling author, speaker, and CEO. ​ The audience will learn the psychology behind habits and know how to analyze their daily routines to see where they could create a more powerful habit, leading to lasting change in their lives. This presentation teaches attendees how to identify triggers, create a positive habit from a negative one, and even shares some of the habits other entrepreneurs and celebrities attribute their accomplishments to. There’s living and there’s being alive. Life. ALL IN. encourages us to create our visions, develop powerful habits to achieve them, and give and receive unconditional love along the way. Through this powerful presentation, Klyn reveals the inspirational, moving story of her personal struggle with Cystic Fibrosis. Despite her grim prognosis of needing a lung transplant or being buried before her 30th birthday, she was determined to not just beat the odds and live, but to create a life filled with accomplishment and love—and giving back. The audience will leave with a new appreciation for life, and a fighter’s mentality that they are only a paradigm shift away from having all they’ve ever wanted in business, their personal lives, and their relationships. ​ Klyn seized her second chance at life when she went up against a pharmaceutical company, thanks in part to a feature on NBC Nightly News w Lester Holt and has gone on to found a national recruitment company, write a best selling book, and give tips for success to audiences worldwide. Her story is proof that with the right vision, the right habits, and unconditional love– anything is possible. Born with Cystic Fibrosis, Klyn Elsbury was initially told she would not live past the age of 14. At the age of 25, she was asked to make end-of-life arrangements because she was unlikely to make it to her next birthday. She went from having a successful career to going on long-term disability leave, and wondering if her next birthday was going to be her last one. 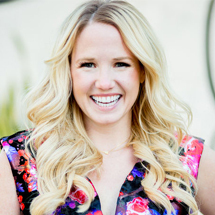 Today, at the age of 31, Klyn is a sought after sales trainer, best-selling author, keynote speaker, certified neurolinguistic programming practitioner and Cystic Fibrosis advocate and survivor. Her story and daily work to thrive, rather than survive, has inspired thousands who have heard her speak and through her coaching programs. Her principles have been shared via 100+ publications and even lead to a prime-time slot on US Nightly News w/ Lester Holt, in part, because she has proven that with the right training, you can radically transform your company culture, your company, and thereby your life. Klyn Elsbury was born with the life threatening genetic disease, Cystic Fibrosis. Her lungs are prone to infections, because she naturally produces a thick sticky mucous that she can’t cough out. It has destroyed her pancreas, and requires 30+ pills a day, just to digest food. The stress on her pancreas and years of malnutrition lead to a month-long diabetic coma in 2001 and now she manages diabetes with daily insulin. Last year, she spent over 100 days on IV antibiotics accessed through a port that she had surgically implanted into her chest for immediate vein access. Despite the realization she may be buried soon, she proved everyone wrong by going to the gym daily and participating in Zumba classes. After one particularly grueling workout, she set a goal of becoming a Zumba Instructor. She had to live. She had to push herself. If she didn’t, she would die before the life-saving drugs she tried to have access to earlier that year, would be available. When the drugs came on the market, the price tag of $259,000 she was denied coverage. Using her recruitment background, she cold-called everyone in the industry until eventually, she landed on PBS, ultimately leading to an interview with an Emmy-award winning correspondent of NBC’s Nightly News with Lester Holt. Once approved, the sky was the limit. From her hospital bed one dreary day, she decided to interview famous people who overcame incredible odds. This was the platform for writing her best-seller: I AM____: The Untold Story of Success. She then combined her love for recruiting and bringing people together, to co-found Landmark Makers. With her tenacious and powerful presence, she shares how she challenges the narrative about her physical limitations to pursue her passions.